Attendees listen to German Madrazo, Olympic cross country skier from Mexico, speak during the STXi ideas festival at the University of Texas Rio Grande Valley on Saturday, April 21, 2018, in Edinburg. EDINBURG — What started as a high school survey has now led two generations of students to host a unique festival aimed at encouraging their peers to take pride in their culture and to identify opportunities in the region. This year marked the second annual South Texas Ideas Festival, or STXi. Created and operated by high school students and an IDEA Quest College Preparatory teacher, the event’s main goal is to engage young adults in conversations about culture, community and their own identity. 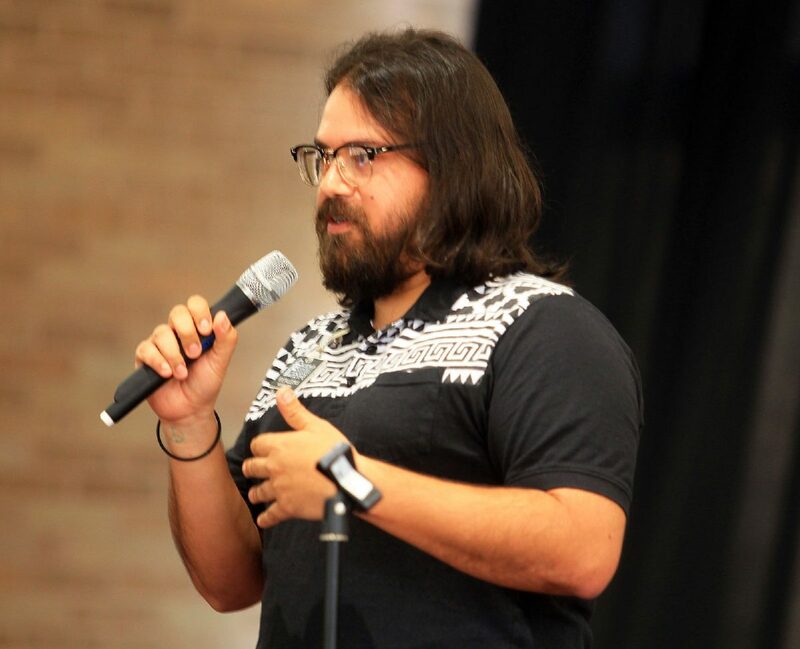 The first year, he recalls, the festival hosted about 172 attendees, mainly high school students, and had about 15 speakers from all over the Valley. 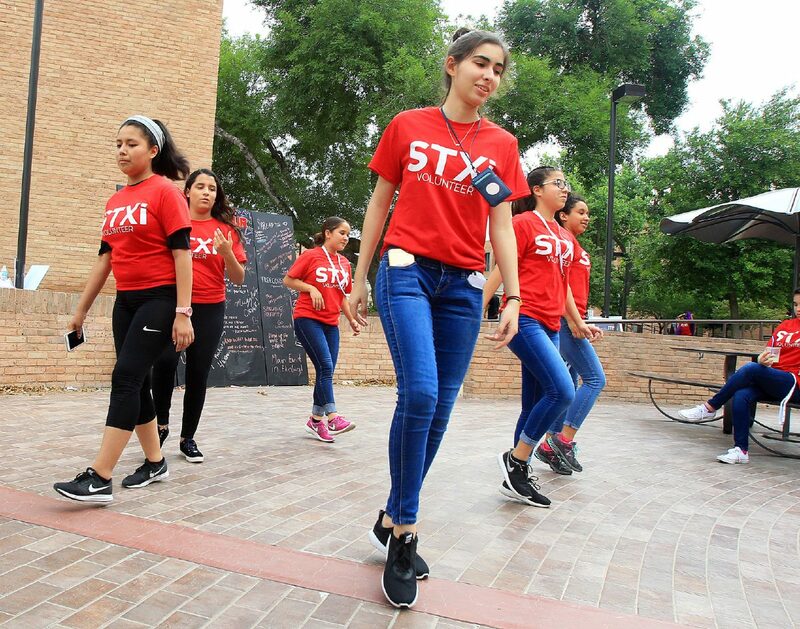 Students from Idea Edinburg Academy dance during a break at the STXi ideas festival at the University of Texas Rio Grande Valley on Saturday, April 21, 2018, in Edinburg. Rene Ballesteros speaks at STXi ideas festival at the University of Texas Rio Grande Valley on Saturday, April 21, 2018, in Edinburg. 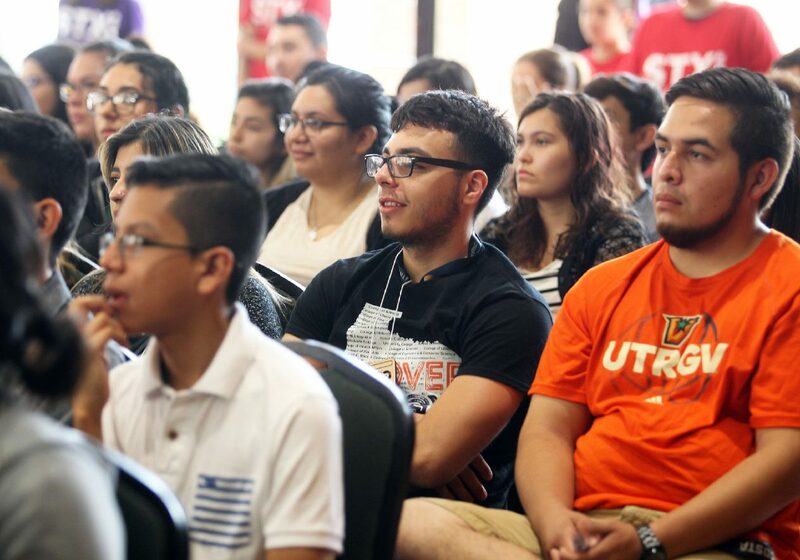 Attendees listen to speaks during the STXi ideas festival at the University of Texas Rio Grande Valley on Saturday, April 21, 2018, in Edinburg. 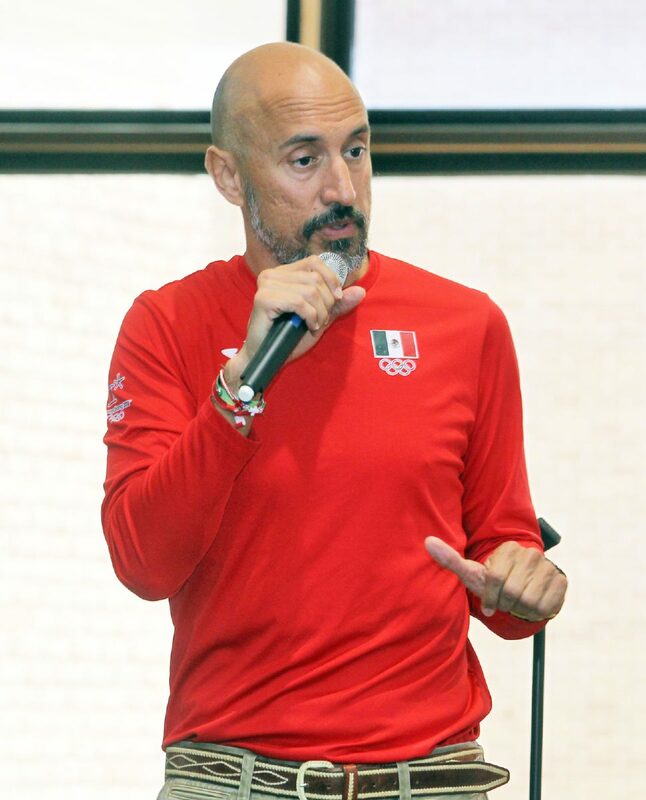 German Madrazo, Olympic cross country skier from Mexico, speaks during the STXi ideas festival at the University of Texas Rio Grande Valley on Saturday, April 21, 2018, in Edinburg. 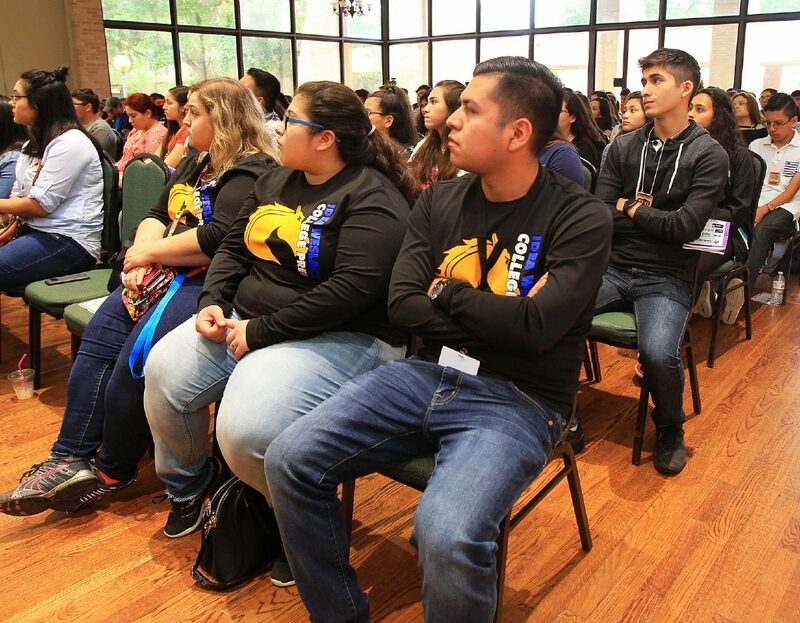 This year, the University of Texas Rio Grande Valley hosted STXi 2018, and attendance grew to about 353 students. Organizers, however, decided to decrease the number of speakers to nine in order to have all students listening to blocks of speakers at once and participating in activity sessions together. Speakers included Robert Rossel, president of the Greater Mission Chamber of Commerce, who described himself to students as an average student who took chances in the banking industry to succeed. Others who shared their journeys included Dani Marrero Hi, a local LGBTQ activist and blogger, and Kristin Leong, a former teacher and creator of the Roll Call Project. While the main idea of the event remains intact, there are moving parts to the now annual festival, such as expanding its reach to give students from throughout the Valley an opportunity to participate. The students have been getting funding though the Bezos Foundation and other local sponsors to host the festival and for leadership and professional development for the students throughout the year. Moving forward, the goal is to allow students to create STXi clubs within high schools across the Valley and provide them with curriculum that honors the main idea of the festival, which would focus on civic engagement. The plan is to pilot the program starting this fall with five chapters at different schools across the Valley, using curriculum created by students who have been involved in the project. So far, the two schools that have created chapters are McAllen Memorial and IDEA Pharr. In order to do this, Mireles acquired a grant from Brown University, where he is now pursuing a medical degree to help cultivate student involvement at the high school level. The grant will support the efforts of creating a summer summit this year that will act as the first step toward building these chapters in different high schools. About 30 students signed up at the end of the festival to lead or participate in these chapters and the training will happen during the summer summit in June.